Situated within the Horn of Africa (Northeast Africa), Djibouti borders both Somalia and Ethiopia. For a small nation, a tour to Djibouti offers a unique taste of Africa many traveling to the continent will never experience. The nation offers plenty of tourist attractions for all. 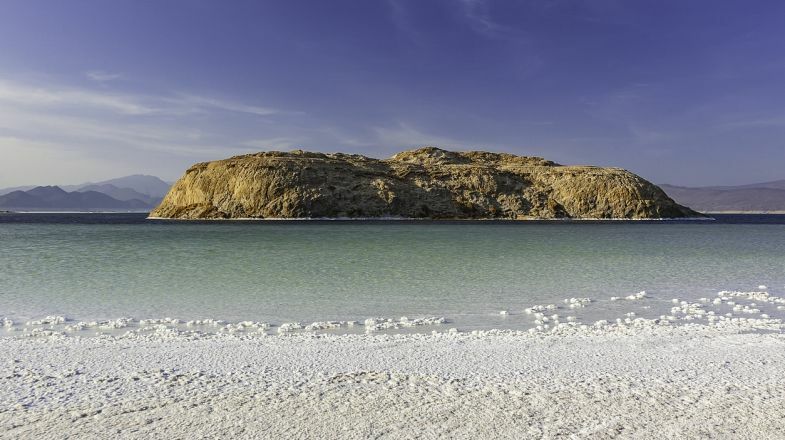 Visit the Gulf Of Tadjoura that is known to contain some of the world's most elegant waters. Within it, both kayaking and scuba diving are popular, or you can simply spend the day paddle boarding. Eat at The Melting Pot Restaurant, located in Heron, a district within the capital Djibouti City. Check out one of the delicious local domestic brews, while waiting on a plate of camel meat. La Mer Rouge is a great restaurant to try some fresh, local seafood that is unique to Djibouti. Coal cooked chicken is also a popular food item. Check out Lac Assal, a crater lake, which is the second-lowest location on Earth but expect a bumpy ride! Dress accordingly, as Djibouti is known for its dry and arid conditions. Be friendly and try to engage in conversation with the locals. Not only will you learn about a unique way of life, but you will probably discover some wisdom you can take home with you. The locals primarily speak both Arabic and French, so learning a few common phrases before your trip could go a long way. Generally, one can get around efficiently via Taxi, but you can expect prices to significantly increase at night. Don't forsake your original plans. If you had planned for a trip to Djibouti, say, to do some scuba diving, then do so. You'll thank yourself later.